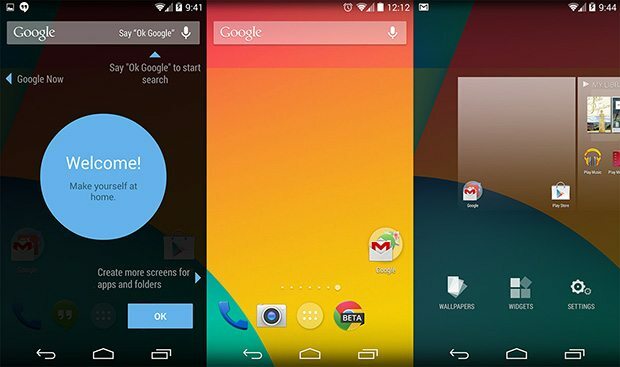 When KitKat launched together with the Nexus 5, Google limited its new Google Experience Launcher to Nexus 5 owners only. This new Launcher merged the home screen, as you know it, with the personal assistant Google Now. Many Android fanboys were disappointed about that limitation, especially because it was so well received by the community. But, thanks to the huge Android community, people were able to install the Google Now launcher manually only a couple days after its launch. The installation file was, basically, taken from the Nexus 5 itself. So, it hasn’t been hard to get your hands on the new launcher to access Google Now with a simple swipe and to trigger countless voice commands like “OK Google, make me a sandwich!”. Thankfully, Google released the Launcher – now officially named Google Now Launcher – on the Play Store today, to make it available to more than just Nexus 5 owners. It was about time that Google made that move. I am a huge fan of the launcher and urge anyone to give it a try. However, for now, the launcher is only available to Nexus and Play Edition devices. But I’m sure more supported devices will follow soon. So, hang on a little longer or simply go on and install the apk.